I never made spaghetti squash, the Atkins-friendly faux pasta veggie with stringy Muppet hair strands, but it always appealed to me. 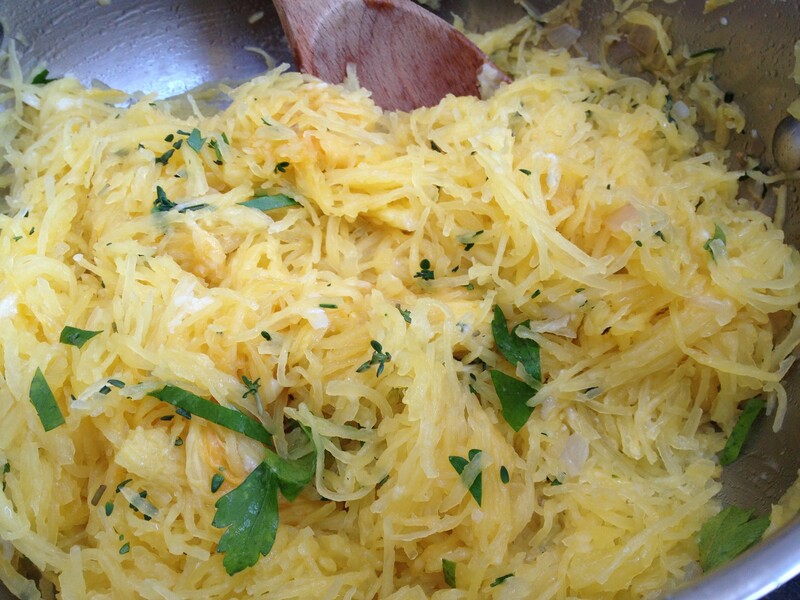 One winter’s day in 2008, I decided to make spaghetti squash for the first time. Following directions meticulously (as I tend to do with new or unfamiliar things), I pierced the squash several times with a knife and stuck it in the microwave for ten minutes on high. Sometime around minute eight, Logan walked by and stopped at the microwave. My microwave is mounted above my cook top and below my cabinet, roughly eye level. He asked me what I was making, and when I answered spaghetti squash, he brought his head closer to the microwave to peek in. At that very moment, the microwave door flew open with extreme force, hitting Logan directly in the head and spewing hot spaghetti squash all over him and the floor. It was a heart-stopping and slightly horrifying freak accident, but once we confirmed he did not receive a concussion or third degree burns, it became rather hilarious. As much as we laughed, I can honestly say I had a bit of post-traumatic stress concerning the preparation of spaghetti squash. It wasn’t until I saw this recipe yesterday, a mere four years later, that I had any desire to try again. This time, I am roasting the spaghetti sauce in the oven per Martha’s method here. Yes, it takes much longer, but, hey, I have nothing better to do. Cover veggies with enough butter and cheese and you’re probably going to love them; this dish is no exception. It’s also a great way to use up some of those leftover Thanksgiving herbs just sitting around looking pretty. I am very happy to report no injuries were sustained in the making of this recipe. This entry was posted in Side Dish and tagged Roasted Spaghetti Squash with Parmesan and Herbs, spaghetti squash, spaghetti squash accident by Mom Mom's Apron. Bookmark the permalink. That story is a classic! I agree, definitely a classic. still amazed your kids will eat everything. Jealous!